There’s no other way to say it: quality protein is expensive! It doesn’t matter if you buy from a farmer or from the grocery store or stretch every ounce you can at home – meat is pricey. I didn’t realize HOW pricey it was though, until we ventured on the Whole30 and had to buy 31 ½ pounds of meat every week… MINIMUM. Although we’ve officially finished the Whole30, we enjoyed many aspects of the elimination diet. 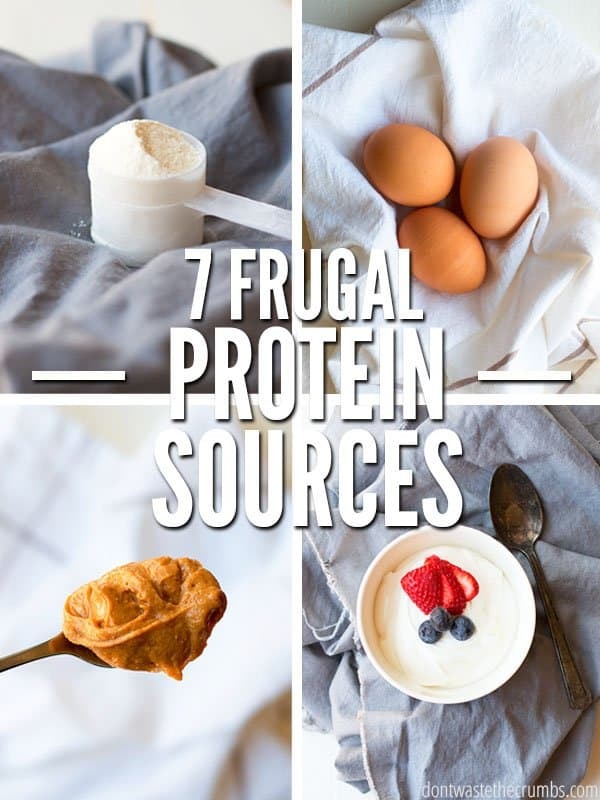 Going forward, I’m looking for non-meat sources of high protein foods that are cheap and healthy so we still get amazing nutrition, but can build our savings account back up too! For the sake of argument and easy side-by-side comparisons, I’ve included the cost and protein content for a one ounce portion (or two tablespoons) or the equivalent (like in the case of eggs). You probably won’t eat just one ounce of the majority of these things, but I did this so everything can be judged on an equal scale. If you’re using this data to build a meal plan with certain protein levels, make sure you account for the portion sizes you’re actually making. I’ve seen eggs for as cheap as 69¢ per dozen at ALDI and upwards of $5.99 per dozen at Sprouts. Personally, the nutritional difference from the average white egg to the “certified this and that” brown egg doesn’t justify the cost (or taste), so unless I’m buying from my friend who owns chickens, I choose the cheapest eggs I can find. 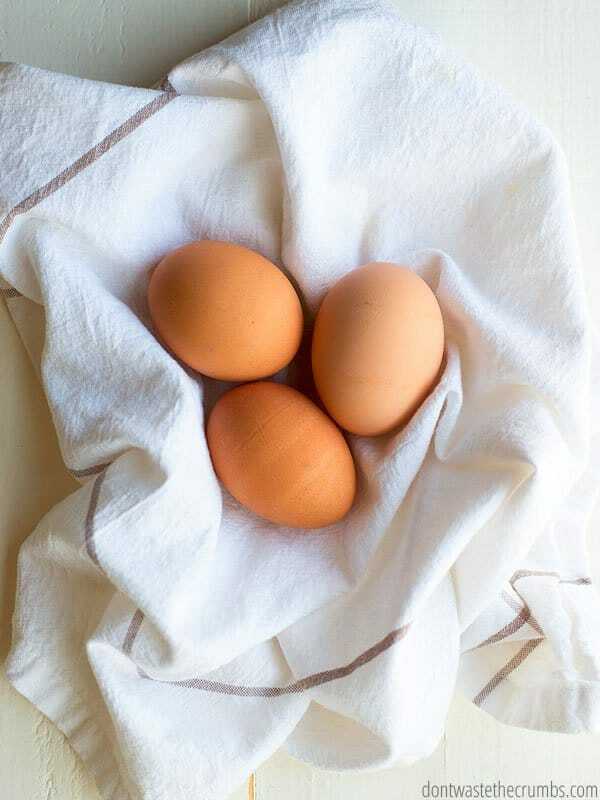 One large egg (about 50g) will cost 6¢ and yield 6g of protein. Several years ago I spent several months building a price book and compared the price of different cheeses at different stores. With the exception of a few “fancy” cheeses, Costco won. (ALDI had the best price for those “fancy” cheeses, by the way). As much as I’d love to make a charcuterie board for dinner, we have stove-top mac and cheese budgets. One ounce of cheddar cheese will cost 15¢ and yield 7g of protein. Beans are the vegetarian’s best friend when it comes to cheap protein. I broke down the math of whether it was cheaper to cook dry beans from scratch or buy canned beans, and the dry beans were a clear-cut winner. 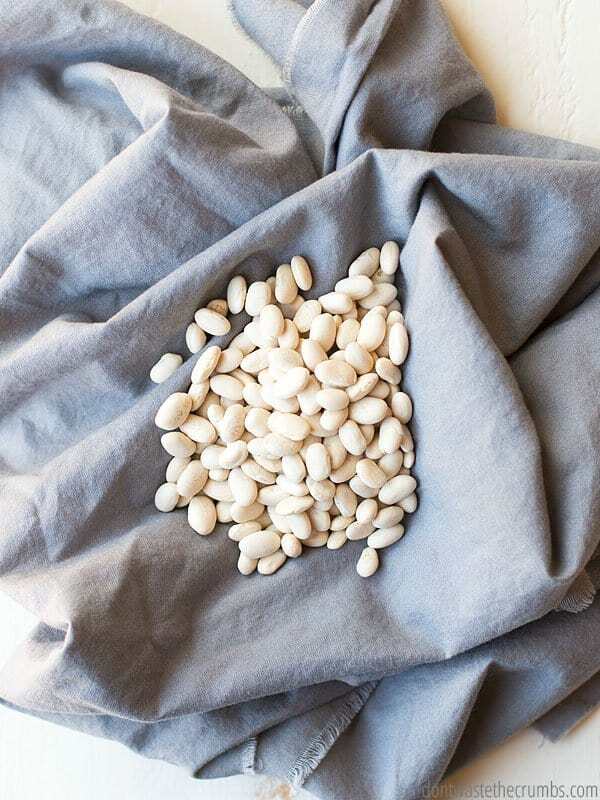 I make beans in the Instant Pot and they’re ready in less than an hour without any soaking. You can make beans in the slow cooker too; it just takes a little longer. When I’m done, I portion 1 ½ cups into freezer-safe containers (without any liquid) and freeze for later. Then when the kids ask for black bean brownies or pumpkin swirl brownies or white bean blondies or cookie dough hummus (or snickerdoodle hummus or chocolate hummus or even cake batter hummus), or I’m making refried beans for a taco party, all I have to do is pull out what I need and let them thaw! Of all my calculations, I’ve found pinto beans to be the most affordable. Costco has a 25 pound bag for as low as 58¢ per pound. One ounce of pinto beans will cost 2¢ and yield 5.2g of protein. Greek yogurt – whether you make it yourself or buy it from the store – is pretty much the same thing as regular yogurt except it’s much thicker. 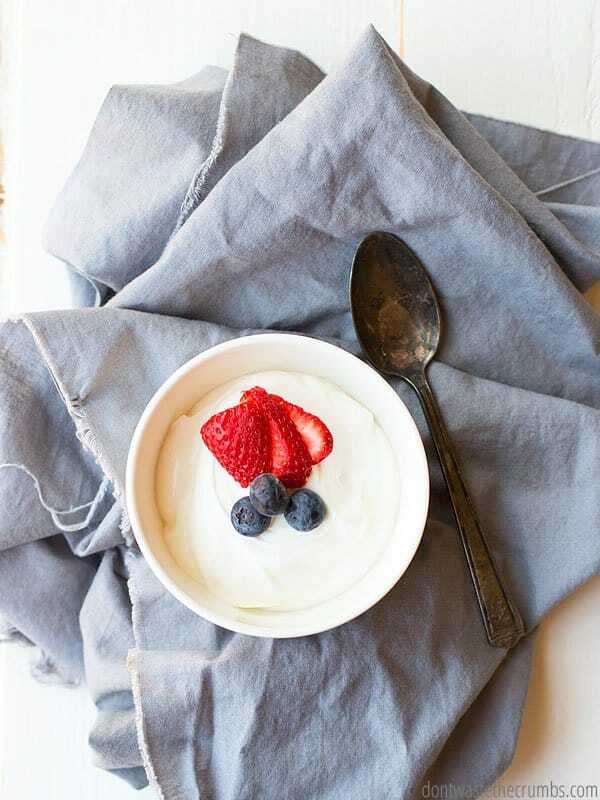 The clear liquid in yogurt is called whey (by the way, here’s 36 things to make with it) and in Greek yogurt, the amount of whey is significantly less giving you a greater concentration of cultured yogurt per serving. That’s why Greek yogurt is a GREAT high protein food, where plain yogurt would just be so-so. Once again Costco wins for the best price at just 9¢ per ounce, and this will yield 1.25g of protein. After being limited to almond butter for the past several weeks, I can confidently say that peanut butter is by far the cheapest nut butter you’ll find. We make peanut butter chocolate chip muffins and Reese’s copycat peanut butter cups and no-bake peanut butter chocolate chip granola bars and we love that they’re not only affordable, but that they “stick to your ribs” so you’re not starving an hour later. 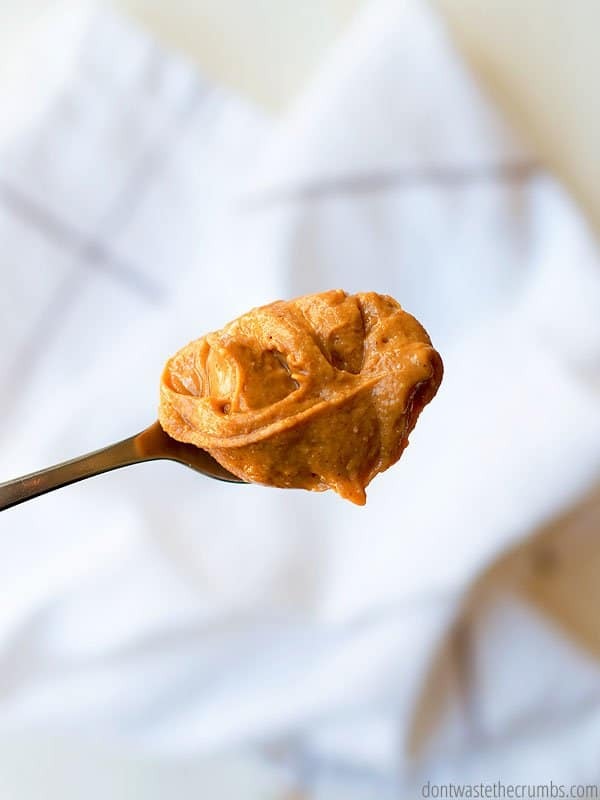 The cheapest peanut butter will be a mainstream brand, but there’s a high probability that those brands contain hydrogenated oils and/or high fructose corn syrup – both of which are seriously awful for your body and are banned from our house. The best price I’ve seen on a natural peanut butter – or at least one that doesn’t have either of those two toxins – is at Costco again. One ounce of peanut butter will cost 11¢ and yield 8g of protein. I know cottage cheese is an acquired taste, but you can sneak it into things like blender protein pancakes and add it to smoothies for a “cheesecake” flavor – strawberry cheesecake smoothie, anyone? It also helps beef up the protein levels of vegetarian meals, like slow cooker meatless lasagna. The last time I made cottage cheese was a huge failure, so I save myself the heartache and buy it from (you guessed it!) – Costco! One ounce of cottage cheese costs 10¢ and yields 1.7g protein. Collagen was my go-to source for quality protein when I was training for a marathon (and ate marathon-training oatmeal every Saturday before my long run). It’s still my favorite choice of protein because it’s tasteless and odorless, meaning I can add it to my morning coffee (or tea, kombucha, juice, etc.) and BOOM, just like that, I’ve added 10g of protein to my day. After my hair and nails and skin unexpectedly grew longer, stronger and healthier, I did some research and found that collagen is a crucial nutrient for rebuilding cells throughout the body. Seeing the benefits first-hand when I used this brand, I kept it as part of my morning routine. I either drink a green smoothie for breakfast or nibble on chocolate hazelnut protein bars in the afternoon. 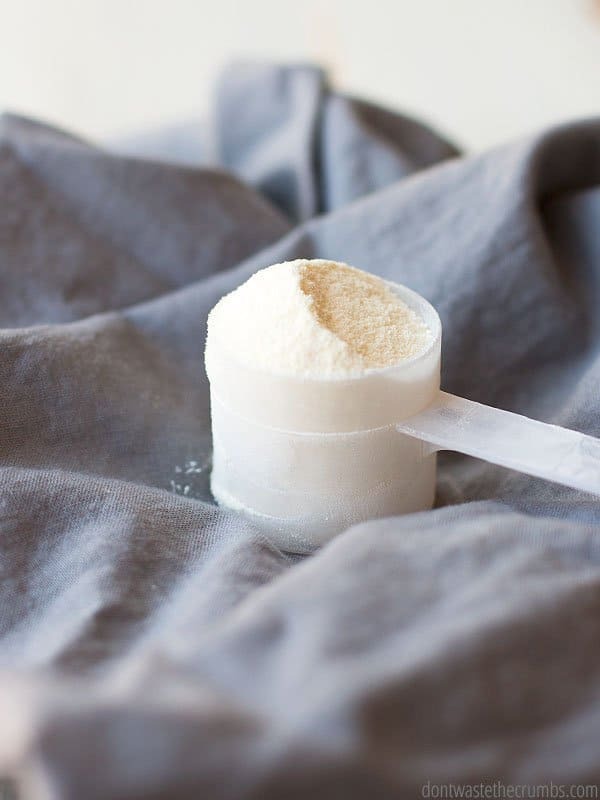 On the average day, one scoop of grass-fed hydrolyzed collagen will cost 65¢ and yield 10g protein! (One serving is typically one scoop, and one ounce is actually 2.58 scoops). CLICK HERE to go straight to their site to buy. What are your tried-and-true go-to high protein foods? Share your non-meat ideas in the comments, please! I love the Perfect Supplements Collagen! Thanks so much for recommending it! Hi Tiffany! This was a great post and an interesting read about other foods that are full of protein. My question is this though. I’m a stay at home mom of 50 whose activities are housework. I’m not out running marathons or doing high energy workouts. So, how much protein do I really need? Hi R! I’m not a doctor, but a quick search shows that the average woman needs 46 grams of protein each day. If you’re eating a well-balanced diet, this probably isn’t hard to achieve. There are many though, who have food aversions an allergies that make it a bit tougher! Toffany can you tell me the advantage of the collagen over protein powder? Are they the same thing? I serve a client with diet and swallow restrictions. Mom is challenaged to find ways to get in rhe needed protein. So, any thoughts to this are always welcome. Hi Margaret! It all boils down to the ingredients. Collagen is simply: collagen from grass-fed cows. Many protein powders contain processed whey solids, artificial sweeteners and ingredients you may not want to consume, like creatine. Collagen is tasteless and odorless, and dissolves in anything. In fact, I just finished a cup of coffee with a scoop of collagen blended in! I took your advice and got some collagen powder and added it to my muesli for breakfast. After month of so, I became very constipated, it took me a while to discover the collagen was causing the problem,! When I stopped taking it, the trouble went away. A pity, as my nails are very brittle and have always been poor. My hair is OK.
Maybe I was taking the wrong brand, but living in Europe Icannot get the one you like. I have started making kombucha recently, and could try the collagen again! Thanks for your suggestion, Tiffany. i am confused. I have been reading your MSG posts, and I understood that “hydrolyzed” anything is usually highly processed? How do you accept the collagen as anything anywhere close to “real” or “whole” food? Hi Mater – I’ve never written about the “hydrolyzed” process. Perhaps you mean hydrogenated? Agreed, you may not have written about hydrolysis (the “hydrolyzed” process), but in your Top 5 Ingredients to Avoid in Food, #5 on your list is MSG. There you present a list of things that you state ALWAYS contain MSG, one of which is ” hydrolyzed protein”. Collagen is protein. In your recipe for Homemade Dry Onion Soup Mix you provide a link to a “full list of other fancy names for MSG” which comes from truthinlabeling.org That list also has “hydrolyzed” as a word to watch out for. Mater – hydrolyzed protein in relation to MSG is NOT the same as hydrolyzed collagen. A “hydrolyzed ___ protein” is not actually MSG, but depending on what the ___ is, it can contain similar amino acid building blocks that MSG is made from. For example, hydrolyzed soy protein would contain similar amino acids to soy. Therefore people who are sensitive to MSG (or soy or yeast or whatever the ___ may be), should be aware of labels that read “hydrolyzed ___ protein” because they can have a similar reaction to this additive. 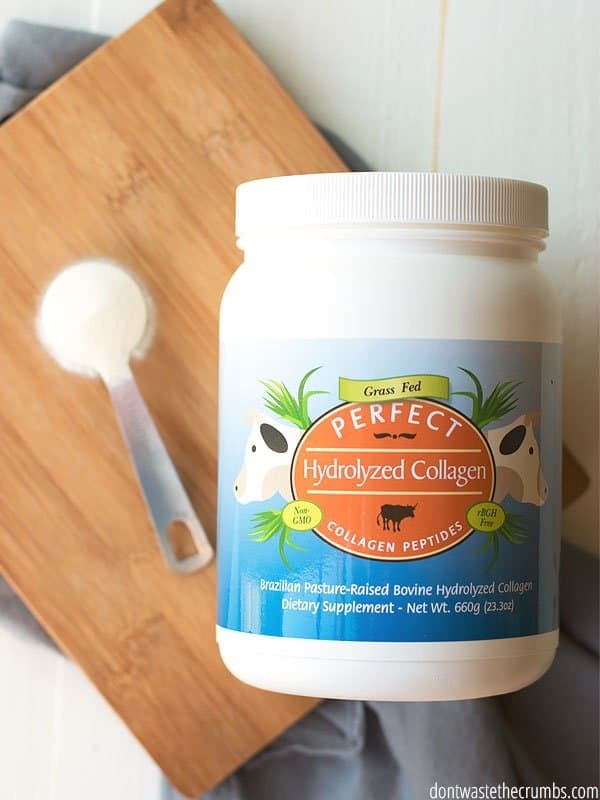 Hydrolyzed collagen are the amino acid building blocks that come from grass-fed cows. Instead of eating cow bones, skin and connective tissue as-is, these parts are broken down using amino acids to break down the collagen into a form that we as humans can consume, i.e. collagen peptides. I have started taking Collagen again, no bad results so far! Am also having Kombucha but no every day – it is very strong! I am taking “hydrolized”Collagen again, no trouble so far. Am also having Kombucha but not every day, it is very strong! should I cut down the size of the Skoby, which has grown very big? I made your Egg roll in a bowl for the 3rd or 4th time last week, it is so good! I can get ready shredded cabbage and carrot >( a soupmix) which makes it very easy to do. We have it in torttillas or wraps. I made your Egg Roll in a bowl for the 3rd or4th time this week, it is so good! I’m so glad you’re enjoying the collagen, kombucha and egg roll in a bowl Amanda! You can cut down the size of the scoby if you want, but you don’t have to. It’s very forgiving! If I’m doing my math right, even ground beef at $4/lb is going to be cheaper than collagen. Right? I mean I do already buy and use collagen but it feels like a splurge to me. Something I spend more on because it’s good for me and convenient to use. Not because it’s a cheap protein. Hi Elizabeth! The math is tricky, so let’s break it down: 1 pound of ground beef at $4 equals comes with 65 grams of protein. With a 1/4 lb serving, that’s $1 for 16.25 grams, or .062¢ per gram of protein. Collagen is 65¢ per scoop and comes out to .065 per gram of protein. Not much of a difference there, so in my opinion, collagen is definitely a source of cheap protein (and because it comes from grass-fed cows, it’s a higher quality too! ).